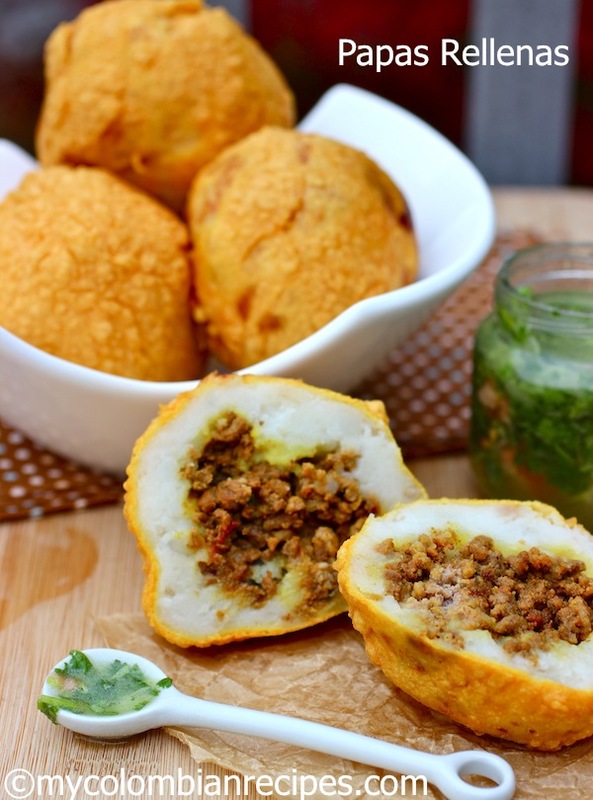 Papas Rellenas are a popular Colombian food that we eat for breakfast or as a snack. 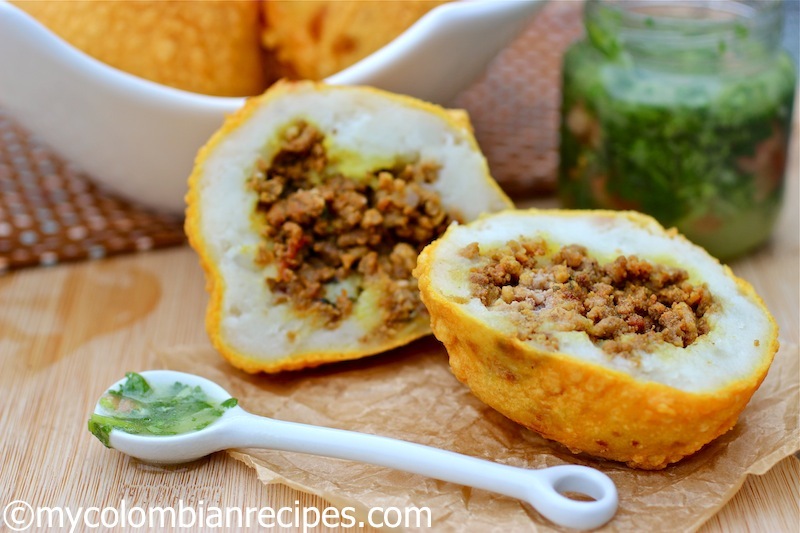 You can serve these Colombian Stuffed Potatoes hot or cold and they are delicious with ají sauce. 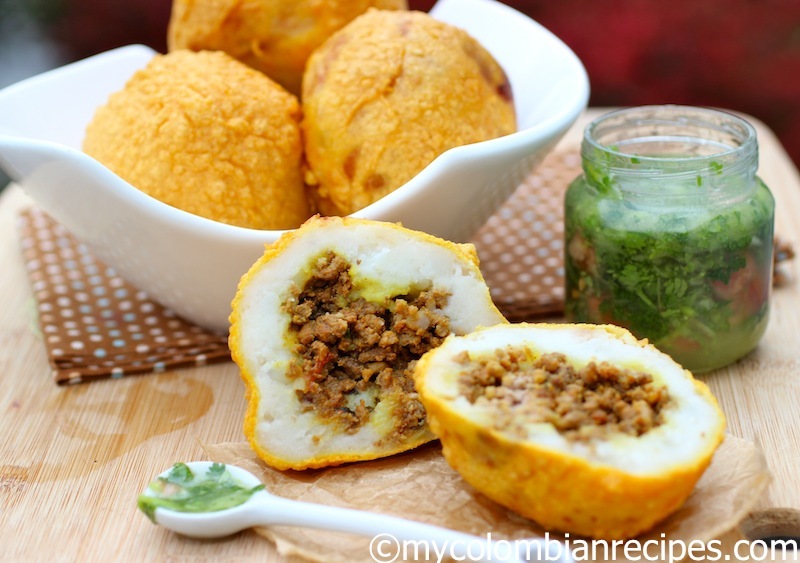 Colombians have different versions of Papas Rellenas. I called my aunt in Florida to get my grandmother’s recipe for this one. Some people add cooked egg and rice to the meat filling. I have included a vegetarian version too. Use the same ingredients in the meat filling except the beef and add 1 cup frozen carrots and peas. Peel the potatoes and cut them into chunks, put them in a medium pot and cover with water and ¼ teaspoon of salt. Bring the potatoes to a boil over medium high heat, then reduce the heat to medium and cook until fork tender about 20 minutes. Drain the potatoes and mash with a fork or masher and set aside. Prepare the filling, in a large sauce pan, heat 1 tablespoon olive oil over medium heat and add the onion, tomato, scallions, garlic, cumin, azafran, pepper and salt. Cook for 5 minutes or until the onions are translucent, add the beef and cook stirring occasionally about 10 – 15 minutes. Set aside to cool. In a medium bowl place all the batter ingredients and whisk until smooth and set aside. Divide the potato mash into 10 equal sized portions, about 1/3 cup each, and form each portion into a ball by rolling between the palms of your hands. Flatten into patties and place 1 ½ tablespoons of the filling in the center of each one. Shape the potato mixture with the filling into balls to enclose the filling completely. Fill a large heavy pot with vegetable oil and heat over medium-high heat to 360° F.
Dip the stuffed potato into the batter and carefully place them in the hot oil and fry for about 4 minutes or until golden, turning over halfway through. Remove the potatoes from the oil using a slotted spoon and drain in a plate with paper towels. Transfer to a serving plate and serve with Ají. These look delicious. I’m not big on frying, but I suppose these could be done successfully in the oven, too. 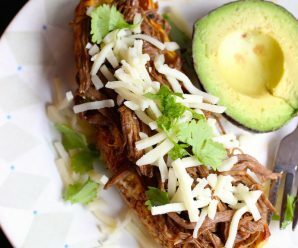 New to your blog and am loving all of the dishes! No they have to be fryed. Your recipes are great and the photos of them are fabulous! This is wonderful, but what is sazon goya? Is it just saffron? Is a dry seasoning containing garlic powder, cumin, Mexican saffron. Can’t wait to try this recipe. But what is sazon goya? These are mouth-watering! They are very similar to the Italian crochette di patate, which I adore. Wow, my daughter would devour those adorable stuffed potatoes in seconds, and we also would really love them too. Bookmarking for sure! Wow Stuffed.. i am in.. & i really do not mind deep frying once in a while. the things supposed to be deep fried somehow do not taste as good to be baked. one great recipe. I agree with you, I don’t mind fried food once in a while.If you are on a diet, this is one of the best reasons to break it. Hi Erica, this potatoes looks delicious, do you think I could bake then in the oven? Maybe coat then with “panko” bread crumbs? 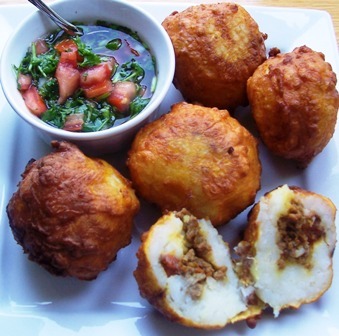 This is the traditional way to cook papa rellena in Colombia, but will be great to try baking them coated with panko bread crumbs! You have so many great recipes!! I just wanted to stop by, take a look at your blog…(very nice 🙂 ) and say thank you for following me. I’ve had something very similiar to this at a cuban deli / bakery near my house…YUM!! I just might have to try this out. I am new to cooking but this is so clear and good!!! absolutely love your blog! 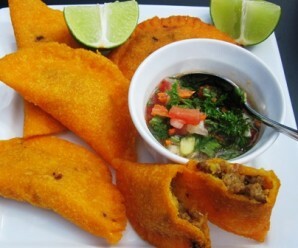 My Colombian husband made these and the whole family loved them. Thank you so much for the papas rellenas recipe. I am so grateful that you posted this. I remember when I was younger, everyday after school I would save my one dollar and head to the cuban bakery by my house and purchase one of these. Can’t wait to make them at home and have my family taste them! I just found your blog off a comment you left somewhere else and I have to say I have a food crush on your blog. Hi! Ive been following your blog but just decided to official follow. 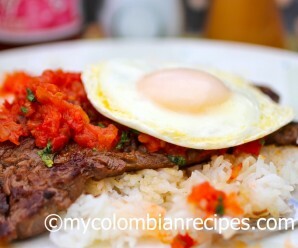 I am American and my husband is Colombian (from Bogota) and I am frequently trying to bring some home flavors to him. Ive never had papas rellenas and had nothing to compare it to, but I dont think I made the batter part right. It was so thin thin thin that I had to thicken it more so it would stick to the potatoes at all! Should it have been thin? Was I just heating the oil too low? Heather- The batter is not too thick and the oil has to be very hot! Luisa Fernanda- No se. A lo mejor el aceite no estaba en la temperatura ideal. I am glad to find something possitive on Colombia. 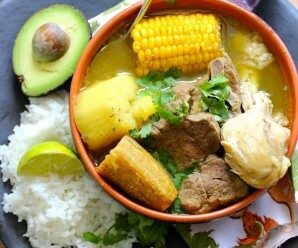 As a Colombian raised in the USA, its hard to find good culinary from Colombia. I enjoy each and every recipes. Thank you…. Hi Erica, this looks great. I am also colombian but my family doesn’t come from the mainland so the food is a little different. This is an awesome recipe to show off so thanks haha. Yum! Made them for my kids and husband and they loved them, thanks for such a great recipe. HOLA ERICA,SOLO QUERIA DEJARTE SABER QUE ME HICISTE EL CONICAR MAS FACIL ,SOY COLOMBIANA DE PALMIRA,,,Y QUE DICHOSA ME SIENTO AL HABER ENCONTRADO ESTA PAGINA GRACIAS..
Para que no se desbaraten las papas, se debe utilizar la papa adecuada o mesclar papa roja y cafe y cuanto se esten armando las papas colocarlas en un plastico y amarrarlas bien, quedan bien rendondas. I made those papas for a brunch last sunday and my dad was crazy about them. We didn’t stop eating them all day. I made a double batch. Delicious. how can a colombian recipe be made with (sazon goya) a product that does not exist in colombia? Christopher- sazon Goya with azafran is similar to “Triguisar” . 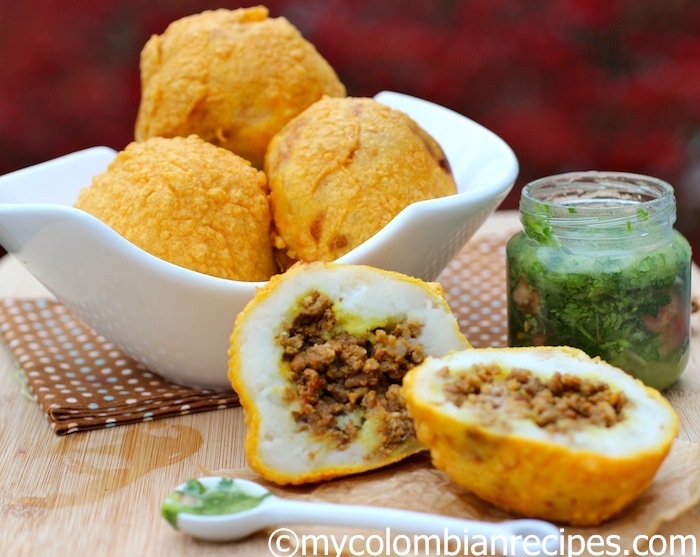 Comida tipica colombiana…Tu tienes recetas trdicionales de colombia y con las que creci en colombia. Yo ya hice las papas rellenas y me quedaron deliciosas. My fiance is a Colombian native, I am hispanic myself and decided to make these Stuffed potatoes, white rice, friend plantains & black beans for a dinner surprise. He was so PLEASED, and loved every bite. Thank you, these were a hit w/the whole family, and I enjoyed my oldest son helping me out as well. 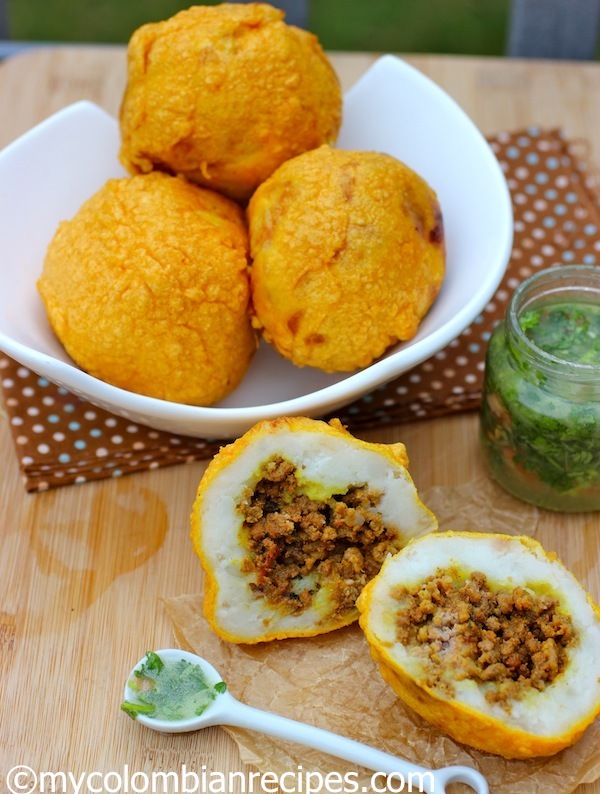 Instead of frying the papas rellenas, you may place them on baking sheets and bake at 450° for 20 minutes or until heated through or golden brown. Since everything is already cooked when its placed together, the baking is just to crisp up the outside of the potatoes (or breading). I usually use SBP (Standard Breading Procedure) once I’ve rounded the meat filled potatoes into actual balls, instead of the above batter which I’m excited about trying for my vegetarian experience. SBP requires three bowls, one with flower, one with an egg wash (egg and milk or water mixed together like you would for scrambled eggs) and bread crumbs (any type). Dredge the formed potato balls in flower, egg wash, bread crumb order and then fry. If your going to bake them, I recommend this process highly (instead of the batter above) because you don’t have to worry about thinness and it makes less of a mess on the baking sheet. pedimos papas rellenas, pero fue las mejores que hemos comido. Estas estaban rellenas con arroz y pernil, el sabor era unico. Sabera como me puede conseguir esa receta porfavor, y tampoco era pequena era al menos dos punos juntos, ummm, riqisimo! Hey I was just wondering if the Saxon Goya with azafran is necessary I live in New Zealand and we don’t have much imported food from Latin America? Mix garlic powder, ground cumin and achiote or saffron. The pineapple sauce on the hot dog, is this something you make or can you buy it somewhere? When I lived in Florida these were sold at almost every gas station in my area. I have always wondered how they were made, and tonight we are going to have a rare treat! Thank you so much Erica! tonight my Colombian husband will think I’m a goddess!! I love following your website. I am 1/2 Columbian but never learned to cook Columbian food. I tried this because it’s one of my favorites. But they fell apart during frying. What did I do wrong? Also avoid touching them while frying. Hey Erica, these Papa rellenas are compeletly delisious . Add more flour to the batter. You mention batter but no directions on fixing it. I enjoy spicy foods so will make some of the Cumin, Garlic and Saffron powder, and then some peppery ranch and tomato dipping sauce. I have bookmarked this site and will look for more fun and delicious recipes.